Monday was a big day for Cam. After 6 long weeks, our independent driver was cleared for mobility once again. 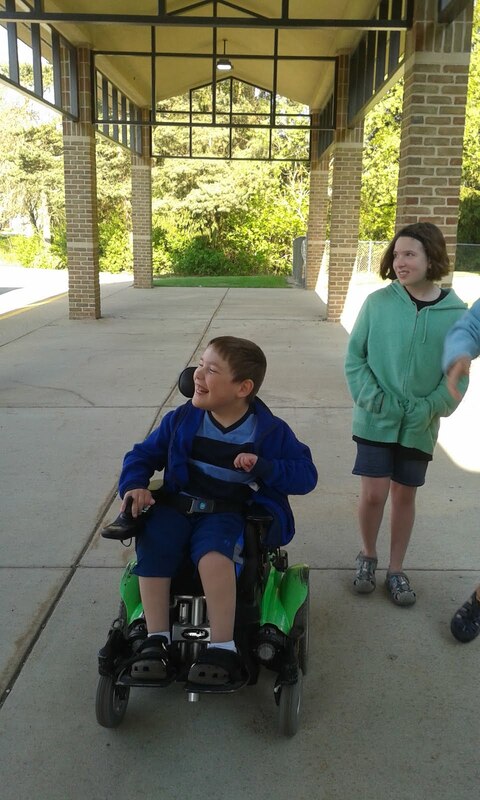 Ms. Kathy sent these pictures taken at his arrival to school with the caption, "He's back!" His friends and teachers were so happy to see this cheerful guy charting his own path once again. The weather perked up and the days were filled with sunshine and outdoor recess. 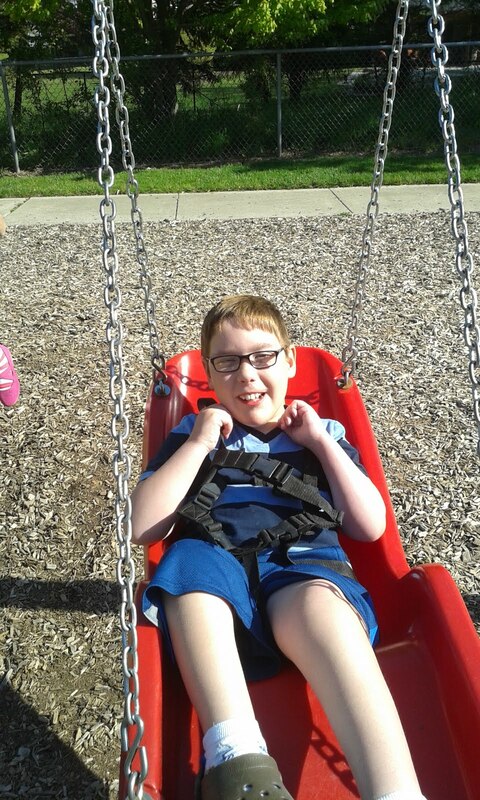 Cam was able to hang out on the playground swing once again, which he hadn't been in since surgery. With the green chair back in action, Jane scheduled a haircut for Cam on Friday. His stylist, Ms. Amelia, thought he was trying to grow some sideburns:). Ms. Amelia had a big surprise for Cam. It turns out her mom is a Michigan State Police Officer and she had an official MSP police shirt, pencil and stickers to present to our police fan. 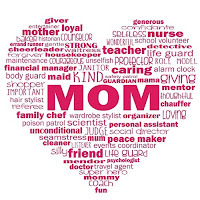 The modern holiday of Mother's Day was first celebrated in 1908, when Anna Jarvis held a memorial for her mother at St Andrew's Methodist Church in Grafton, West Virginia. St Andrew's Methodist Church now holds the International Mother's Day Shrine. Her campaign to make "Mother's Day" a recognized holiday in the United States began in 1905, the year her mother, Ann Reeves Jarvis, died. Ann Jarvis had been a peace activist who cared for wounded soldiers on both sides of the American Civil War, and created Mother's Day Work Clubs to address public health issues. Anna Jarvis wanted to honor her mother by continuing the work she started and to set aside a day to honor all mothers because she believed that they were "the person who has done more for you than anyone in the world". In 1908, the US Congress rejected a proposal to make Mother's Day an official holiday, joking that they would also have to proclaim a "Mother-in-law's Day". However, owing to the efforts of Anna Jarvis, by 1911 all US states observed the holiday, with some of them officially recognizing Mother's Day as a local holiday, the first being West Virginia, Jarvis' home state, in 1910. In 1914, Woodrow Wilson signed a proclamation designating Mother's Day, held on the second Sunday in May, as a national holiday to honor mothers. Saturday was a perfect day for the baseball game. And this may have been the biggest Cam Fan day yet! Cam's teacher, Ms. Kathy and her husband Kevin were in attendance, along with Aunt Mary and Uncle Ray. Due to other activities, they had to leave before their photo opp, but we're so thankful they were there and Cam saw them. Ms. Barbara from school also arrived to enjoy the action and soak up some sunshine. All the way from the Chicago area came Auntie Karen, her sister Susan, and friend Maryann. Oma and Opa drove in from up north. They were all able to see Cam use the batter box, which allows him to independently swing the bat with the help of a pulley. Little did we know until after the game that two of the volunteers were physical therapists from The Helen DeVos Children's Hospital. They had met Cam last year when he was there for an entire day for testing. During that time, we had talked with Jason and Marlee about WMML and the fact that Cam played baseball for the league. They were so inspired, they said, they signed up for volunteering! After the game, Auntie Karen, Susan, Maryann, Oma and Opa all came back to Cam's house for a light lunch. The weather was so pleasant, we ate outside on the back porch. After enjoying each other's company and the sunshine, our Chicago bound visitors had to make the long trek back. We were so grateful for the time and energy spent to make the drive and make our day! Oma and Opa stayed for the evening and we opted to go out for dinner Saturday night instead of fighting the crowds on Sunday. Mother's Day itself was also sunny and warm. Oma and Jane exchanged fun gifts- they gave each other flowers and bags and goodies, always thinking of similar handy things. Cam and Chris went on a secret mission to find Jane a gravity chair, which made for a relaxing mom treat! We loved having Oma and Opa with us for the night to celebrate and share a delicious homemade breakfast of blueberry pancakes. 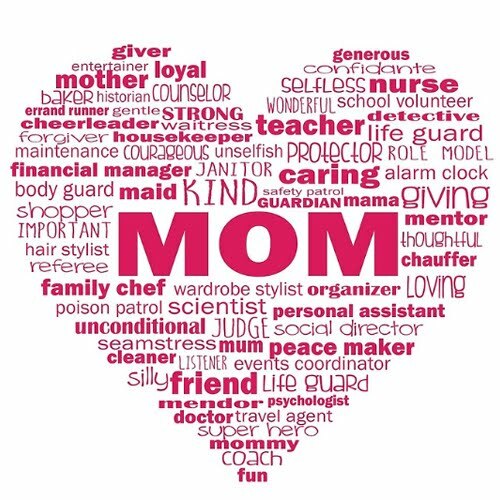 So many women we know go above and beyond as moms, for their families and for us. We thank you for offering support, love and your most precious gift...time. "A mother is like a flower, each one is beautiful and unique." For our Mother's Day dinner outing, we let Cam choose the location. "Let's go to Macaroni Grill. They are famous for their macaroni!" While Chris and Cam were plotting their secret trip to Costco to find a lounge chair, Mom walked in the room. "I have to talk to Dad, Mom. It's none of your business."